Gudmundite: Mineral information, data and localities. After the locality at Gudmundstorp, Sweden. Ferri-winchite 2 photos of Gudmundite associated with Ferri-winchite on mindat.org. Gold 1 photo of Gudmundite associated with Gold on mindat.org. Electrum 1 photo of Gudmundite associated with Electrum on mindat.org. Galena 1 photo of Gudmundite associated with Galena on mindat.org. Quartz 1 photo of Gudmundite associated with Quartz on mindat.org. Stibnite 1 photo of Gudmundite associated with Stibnite on mindat.org. Kermesite 1 photo of Gudmundite associated with Kermesite on mindat.org. Antimony 1 photo of Gudmundite associated with Antimony on mindat.org. Palache, Charles, Harry Berman & Clifford Frondel (1944), The System of Mineralogy of James Dwight Dana and Edward Salisbury Dana Yale University 1837-1892, Volume I: Elements, Sulfides, Sulfosalts, Oxides. John Wiley and Sons, Inc., New York. 7th edition, revised and enlarged: 325-326. Zeitschrift für Kristallographie: A101: 290-316. Kharbish, S. & András, P. (2014): Investigations of the Fe sulfosalts berthierite, garavellite, arsenopyrite and gudmundite by Raman spectroscopy. Mineralogical Magazine 78,1287-1299. The following Gudmundite specimens are currently listed for sale on minfind.com. McKinnon, A.R., Fitzherbert, J.A. (2017) New developments at the Hera Au-Pb-Zn-Ag Mine, Nymagee, New South Wales. Discoveries in the Tasmanides 2017, Australian Institute of Geoscientists, AIG Bulletin 67. A. E. Bence and L. C. Coleman (1963): Temperatures of formation of the Chisel Lake sulphide deposit, Snow Lake, Manitoba. Can. Mineral. 7, 663-666. Stefanie M. Brueckner, Stephen J. Piercey, Jean-Luc Pilote, Graham D. Layne, Paul J. Sylvester (2016): Mineralogy and mineral chemistry of the metamorphosed and precious metal-bearing Ming deposit, Canada. 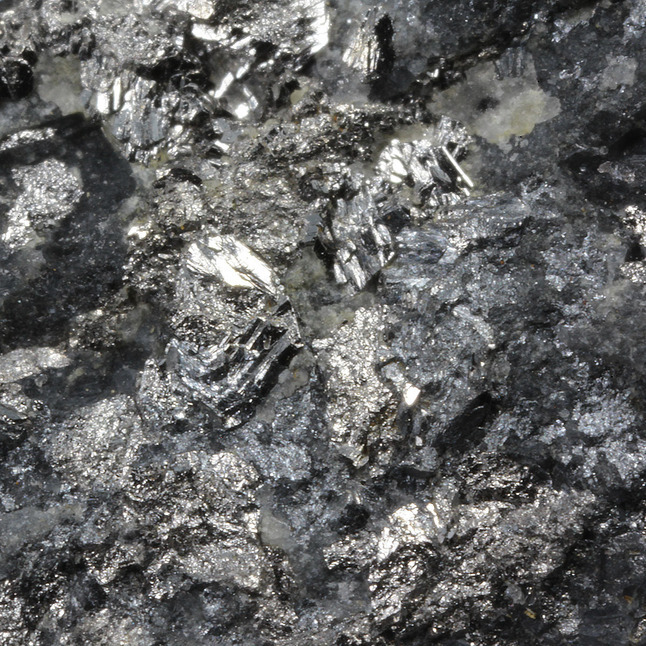 Ore Geology Reviews 72, 914–939. Coleman, L. C. (1953). Mineralogy of the Yellowknife Bay Area, NWT. American Mineralogist, 38(5-6), 506-527. Canadian Mineralogist 10:232; CABRI, L.J. & HARRIS, D.C. (1969) New minerals from an unusual antimonial assemblage from the Red Lake area, Ontario. Canadian Mineralogist, 10(1), 128. (abstract). Patterson, G.C. (1984) Ontario Geological Survey miscellaneous paper 118. Simard, M., Gaboury, D., Daigneault, R., & Mercier-Langevin, P. (2013). Multistage gold mineralization at the Lapa mine, Abitibi Subprovince: insights into auriferous hydrothermal and metasomatic processes in the Cadillac–Larder Lake Fault Zone. Mineralium Deposita, 48(7), 883-905. Trottier, J., Brown,A.C. & Authier, M.G. (1991) An Ordovician rift environment for the Memphremagog polymetallic massive sulphide deposit, Appalachian Ophiolite Belt, Quebec. Canadian Journal of Earth Sciences 28, 1887-1904. Mineral. Deposita 42 (2007) 639-662. Pi, Q., Zhong, R., & Hu, R. (2015). Tracing the ore-formation history of the shear-zone-controlled Huogeqi Cu–Pb–Zn deposit in Inner Mongolia, northern China, using H, O, S, and Fe isotopes. Ore Geology Reviews, 71, 263-272. Qing-Feng Ding, Chang-Zhi Wu, M. Santosh, Yu Fu, Lian-Hui Dong, Xun Qu, Lian-Xing Gu (2014): H–O, S and Pb isotope geochemistry of the Awanda gold deposit in southern Tianshan, Central Asian orogenic belt: Implications for fluid regime and metallogeny. Ore Geology Reviews, 62, 40-53. Dr Gunter Grundmann collection, # 312. Mrázek, P. et al. : Zlato v Českém masívu. Praha: Vydavatelství Českého geologického ústvau, 1992. Chauris, L. (2014): Minéraux de Bretagne, Les Editions du Piat, 78. Mishra, B., and Panigrahi, M.K. (1999): Mineralium Deposita 34, 173-181. Anthony, Bideaux, Bladh, Nichols: "Handbook of Mineralogy", Vol. 1, 1990; Econ Geol (1997) 92:308-324; Seetharam, R. (1981). 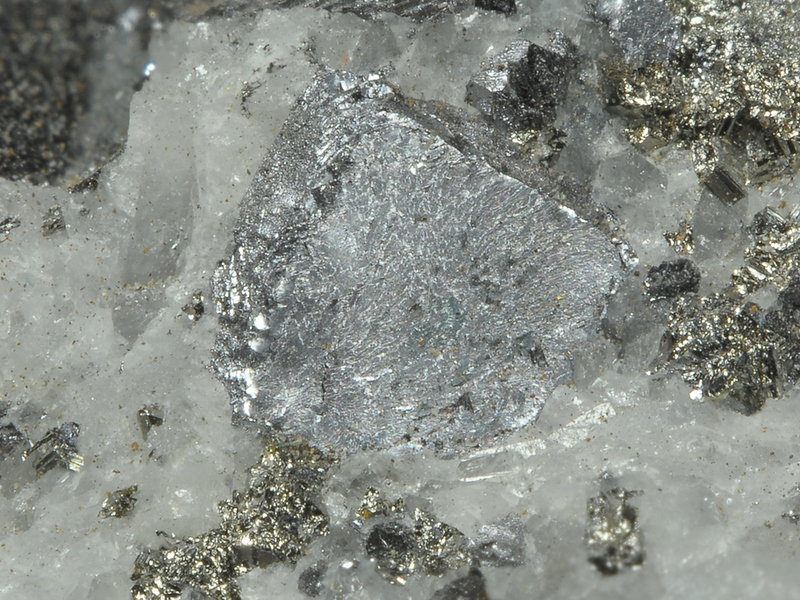 Gudmundite from Base Metal Sulphide Deposit of Askot, Pithoragarh District,(UP). Geological Society of India, 22(5), 216-219.; Sharma, R., & Rao, D. R. (2008). Stannoidite and cubanite from Askot polymetallic sulphide ores, Kumaun Lesser Himalaya, India. Current science, 95(4), 527-531. Exel, R. (1987): Guida mineralogica del Trentino e del Sudtirolo. Athesia, Bolzano, 204 pp. ; Exel, R. (1987): Guida mineralogica del Trentino e del Sudtirolo. Athesia, Bolzano, 204 pp. ; Exel, R. (1987): Guida mineralogica del Trentino e del Sudtirolo. Athesia, Bolzano, 204 pp. 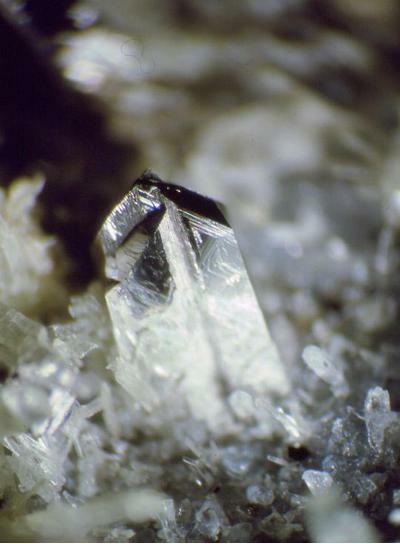 ; Exel, R. (1987): Guida mineralogica del Trentino e del Sudtirolo. Athesia, Bolzano, 204 pp. ; Exel, R. (1987): Guida mineralogica del Trentino e del Sudtirolo. Athesia, Bolzano, 204 pp. ; Exel, R. (1987): Guida mineralogica del Trentino e del Sudtirolo. Athesia, Bolzano, 204 pp. ; Exel, R. (1987): Guida mineralogica del Trentino e del Sudtirolo. Athesia, Bolzano, 204 pp. ; Exel, R. (1987): Guida mineralogica del Trentino e del Sudtirolo. Athesia, Bolzano, 204 pp. Vokes, F.M. (1963): Geological studies on the Caledonian pyritic zinc-lead orebody at Bleikvassli, Nordland, Norway. Norges Geologiske Undersøkelse. 222, 1-126. Afanas'eva, Z.B., Ivanova, G.F., and Raimbault, L. (1995), In: Pasava, J., Kribek, B., and Zak, K. (eds. ): Mineral Deposits: From Their Origin to Their Environmental Impacts. Balkema (Rotterdam), pp. 835-837. Ozdín D., Sečkár P., Števko M., 2008: Nové nálezy minerálov z Pezinku v Malých Karpatoch. Minerál, 16, 6, 528-533. Uher P., Michal S., Vitáloš J. (2000): The Pezinok antimony mine, Malé Karpaty Mountains, Slovakia. Mineral. Record 31, 153-162. Imai, H. (1942) Journal of the Geological Society of Japan, 49, 586. Kjell Gatedal; Andersson, Stefan, Jonsson, Erik, Högdahl, Karin (2014) Genesis of Pb-Ag-Cu-Fe-Zn-(Au-Sb-As) mineralisation at Hornkullen, Bergslagen, Sweden: insights from ore mineralogy, textural relations and geothermoarometry. 31st Nordic Geological Meeting, Lund Sweden. Econ Geol (1996) 91:1073-1087; Wagner, T., & Jonsson, E. (2001). Mineralogy of sulfosalt-rich vein-type ores, Boliden massive sulfide deposit, Skellefte district, northern Sweden. The Canadian Mineralogist, 39(3), 855-872. Friederike Minz, Nils-Johan Bolin, Pertti Lamberg, Christina Wanhainen (2013): Detailed characterisation of antimony mineralogy in a geometallurgical context at the Rockliden ore deposit, North-Central Sweden. Minerals Engineering 52, 95-103.; Minz, F.E., Bolin, N-J., Lamberg, P., Bachmann, K., Gutzmer, J., Wanhainen, C. (2015): Distribution of Sb minerals in the Cu and Zn flotation of Rockliden massive sulphide ore in northcentral Sweden. Minerals Engineering, 82, 125-135. Stalder, H. A., Wagner, A., Graeser, S. and Stuker, P. (1998): "Mineralienlexikon der Schweiz", Wepf (Basel), p. 201.; Köppel V. (1966): Die Vererzungen im insubrischen Kristallin des Malcantone (Tessin). Beiträge Geol. Schweiz, Geotechn. Ser. 40, 123 p.